why don't they just take them, and not be talking about it." 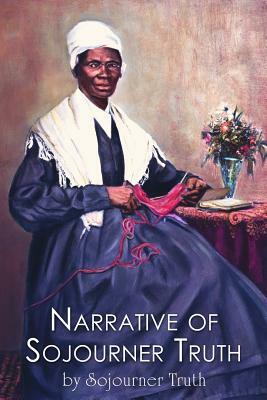 The Narrative of Sojourner Truth is the gripping autobiographical account of Sojourner Truths life as a slave in pre-Civil War New York State, and her eventual escape to Freedom. Since Sojourner could neither read or write, she dictated her story to Olive Gilbert after they met at a Women's Rights rally. The Narrative was first published in 1850, and was widely distributed by the Abolitionist Movement. It was one of the catalysts for the rise of anti-slavery public opinion in the years leading up to the Civil War. Though Olive Gilbert's writing about Sojourner takes on a patronizing tone at times (a weakness of some Abolitionists), The Narrative of Sojourner Truth remains a moving and historic document, chronicling the struggles of African-Americans under slavery and the life of a truly remarkable woman.